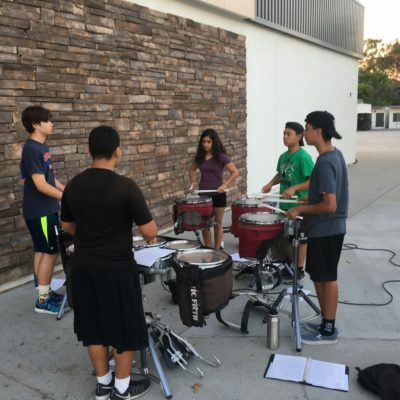 SHHS Band Camp is a series of mandatory rehearsals throughout the month of August that teaches the basics of marching band, how to march, setting drill and coordinates, learning show music, and gaining a strong rapport with fellow members in the band. 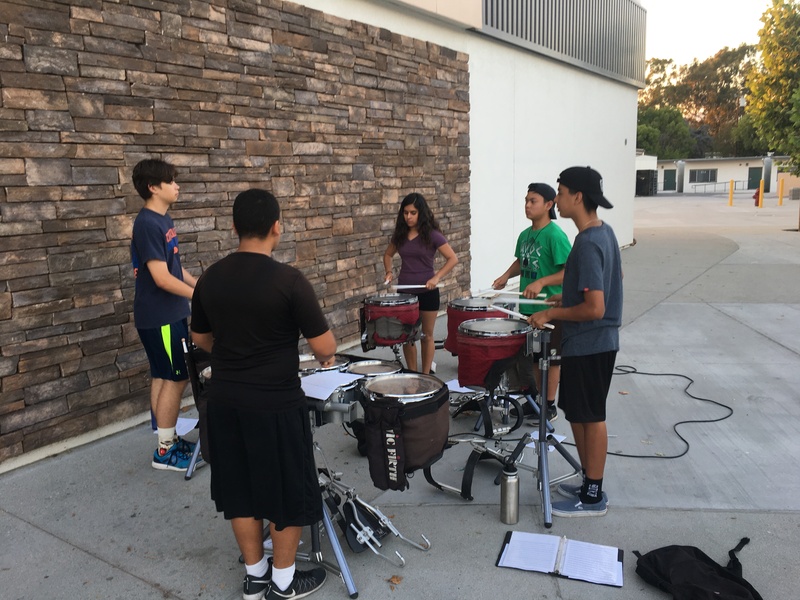 Full band rehearsals are typically from 1:00 p.m. to 9:00 p.m. and are held at South Hills High School campus. 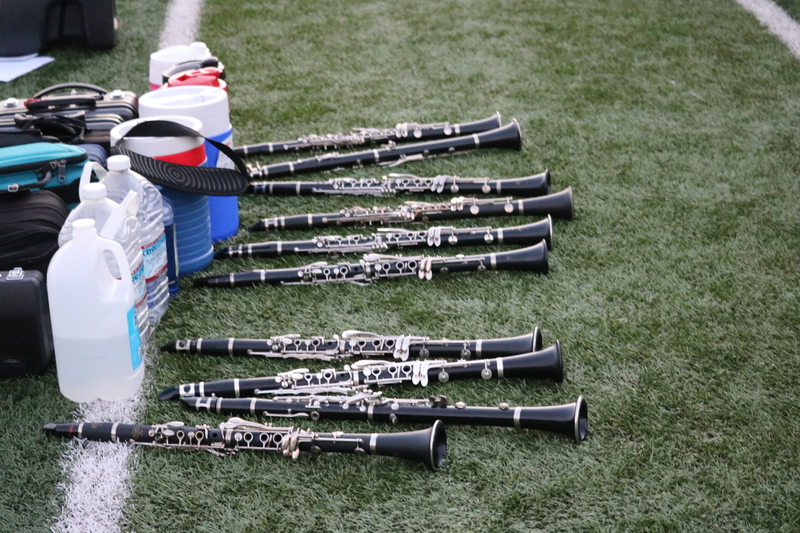 The week of Band Camp allows the students to concentrate on the marching band show without interruptions from normal routines at home. 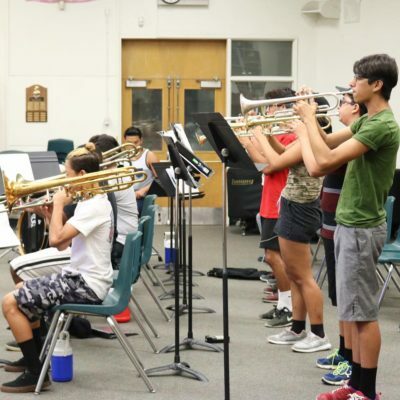 It ensures that students are at every rehearsal and have time to work with their section. It is a week of intense study of the music and learning the drill. It is a time of bonding, hard work, frustration and fun! 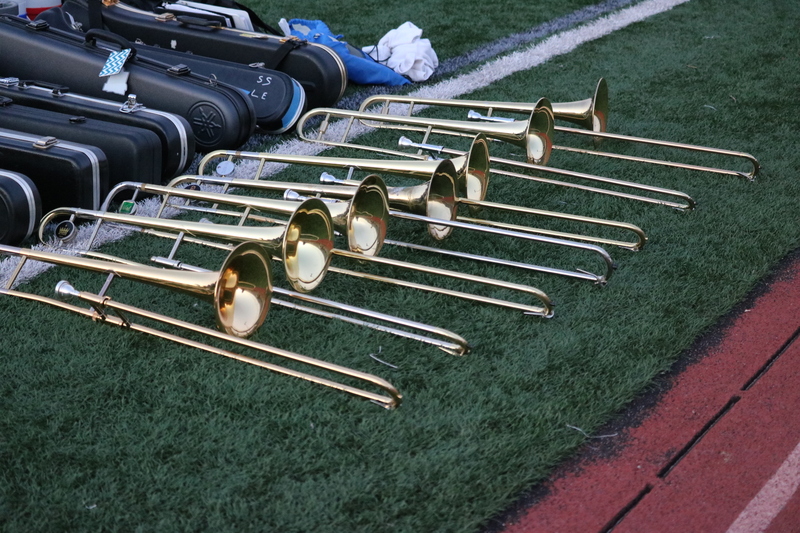 Your student will come home exhausted but also enthusiastic about being part of the South Hills High School Marching Band & Color Guard. 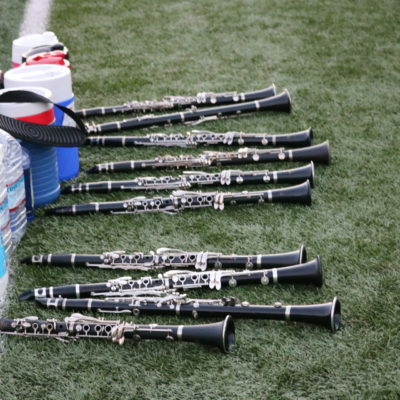 As a member of the marching band, attendance and participation at Band Camp is mandatory. Please plan all vacations/absences around band camp. Students are expected to attend every day. It is imperative that you come to Band Camp every day prepared to handle the full eight hours of work. • Students should always plan to arrive at least 15 minutes before the start of camp to prepare themselves to be in place when camp begins. • End times are not when students will be available for pick up. End time is when they are expected to end practice. 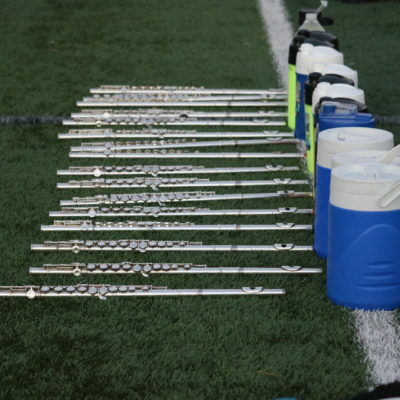 Time will then be required for a band director talk and to put equipment away. The earliest that students will be available for pick up is 15 minutes after the stated end time. • A Positive Attitude – the success of this entire ensemble, from students through Staff, will be based on the positive attitude that we bring every day to camp. We all want to have a positive experience, and we all want to reach a great level of success this year. That being said, the attitude that we bring each day will be a direct attribute to the success that we achieve. • Practice your music over the summer before camp. • Come to band camp with your competition music memorized. You will be glad you did! • Take private lessons once a week. Band camp is physically demanding. 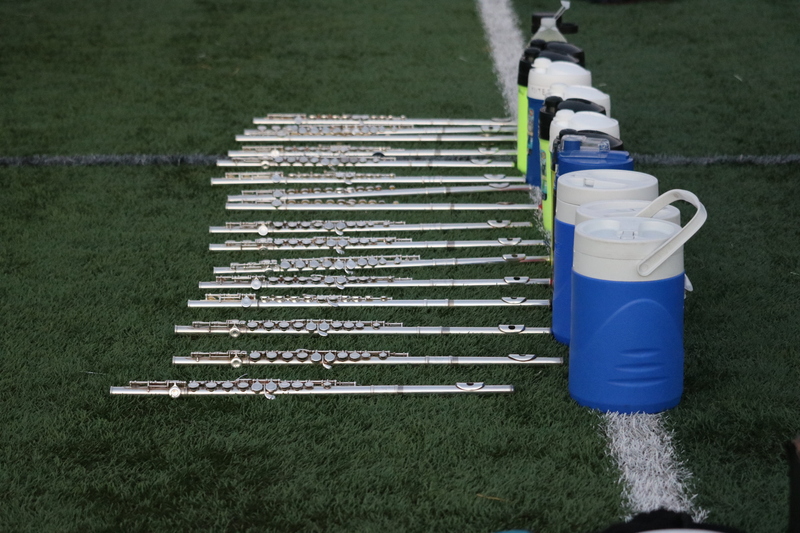 Be sure you come to camp ready to march and play in summer temperatures. Get a good night sleep and eat a hearty breakfast each day. Taking those two steps will improve your experience greatly. • Backpack to carry your day supplies and music binder around the camp. 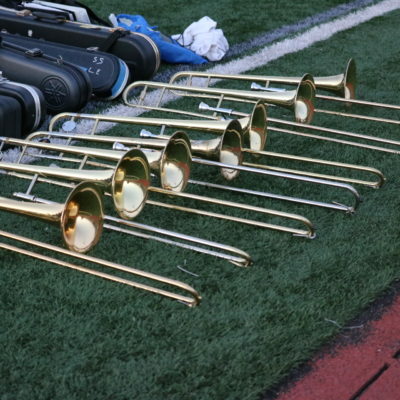 • Equipment – instrument, drum sticks, flags, rifles, etc. • LARGE insulated container of water each day. NOT a bottle – a large container/jug/cooler ! It is very important that you stay hydrated in the heat. You’ll get breaks during camp to replenish the fluid you will be losing. You must drink during these brief break. * * * If your child uses a rescue inhaler for asthma or any other emergency medicine, please have them carry it with them during camp. Knee or wrist brace (if you are prone to have knee problems…bring your brace !). Due to the large number of camp participants, please make sure all of your belongings are marked with your name. We will be taking a break each day at 4:30 pm – 5:30 pm. The students can either bring their meal to camp or have it delivered by a parent or family member. Students are NOT allowed to leave campus during this break. Once students are on campus, they MUST remain on campus until dismissal. Please make sure the kids stay away from unhealthy fast food during their break. • Sunglasses and a hat are optional but are good to have when we are outside to protect you from the sun. • Expect to work really hard and to feel uncomfortable at times. 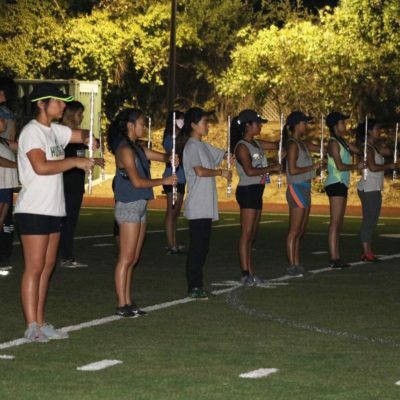 • Expect to learn more in a week of Band camp than your last year of middle school. Expect the unexpected-just ask some of our returning band members to tell their “Band Camp” stories. There is nothing to fear about the Band Camp experience. After it is over, you will look forward to returning next year. 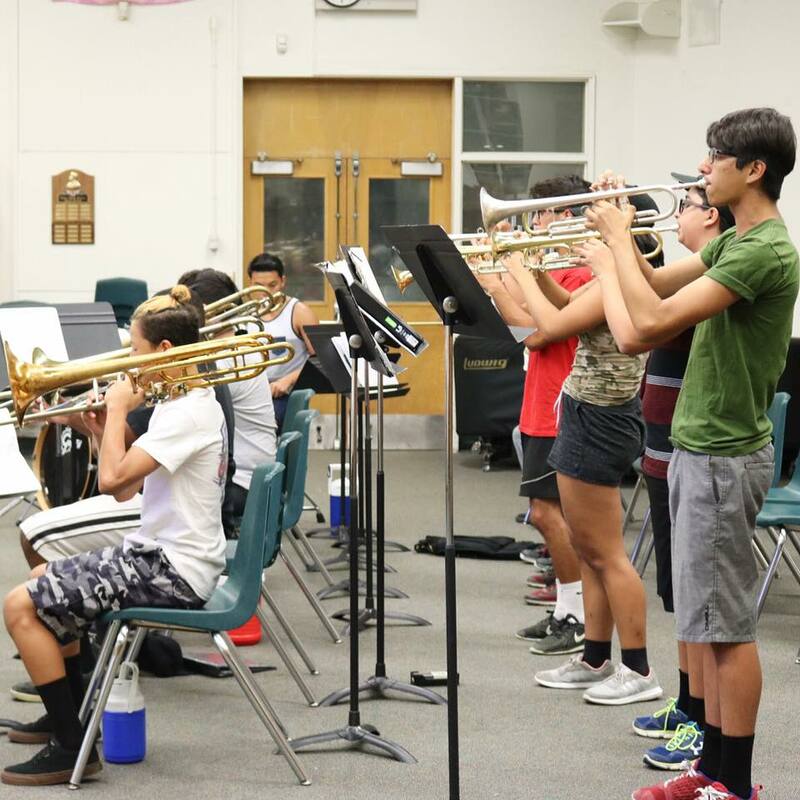 Our staff and leadership team work hard to provide a nurturing environment for first time members of the band. We look forward to a good camp and some fun. • Keep cool-physically and mentally – Keep hydrated and don’t overheat. Also keep a calm mind. So you can’t do hit the note at first, keep trying and listen graciously to advice and it WILL eventually come. We are here to help. • Show Respect – For the director, staff, leadership, parents that are around to help and your other team members. 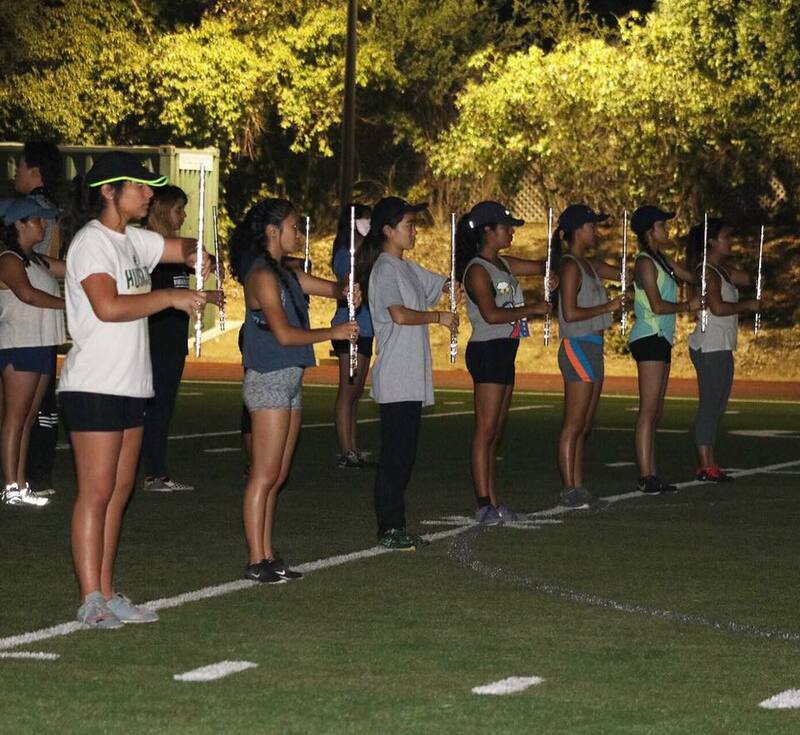 For more information about Band & Color Guard, please see our FAQs page.